The Attic Room – out tomorrow! This has been the hottest July since 2003 in our corner of Switzerland. 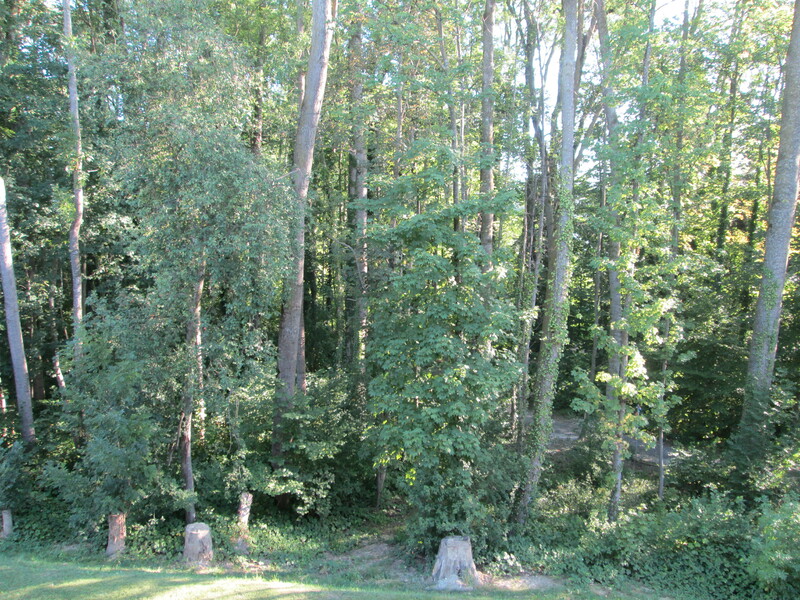 In spite of this, our little wood is green and thriving, providing us with some welcome shade in the heat of the day. It also provides us with a whole lot of mozzies and other beasties, but then you can’t have everything. We wake up to birdsong every day, and for a while it’s easy to think we’re in the middle of the forest… until the building site further along the road gets going. The trees are at the start of the post this week because this isn’t really a post; I’m just redirecting you to Alison Gray’s blog. Alison and I are at the same stage of our writing careers and she has been very helpful to me. We met online and then at the Edinburgh Book Festival last year (as you see we have more than books in common), and to help celebrate the release of The Attic Room, she invited me on her blog. The Attic Room ebook is available on Amazon UK, Amazon US, and your local Amazon if you’re in a different area. The paperback will be out in a few weeks. This entry was posted in My books, The Writing Life and tagged crime fiction, psychological thriller, suspense, The Attic Room. Bookmark the permalink.